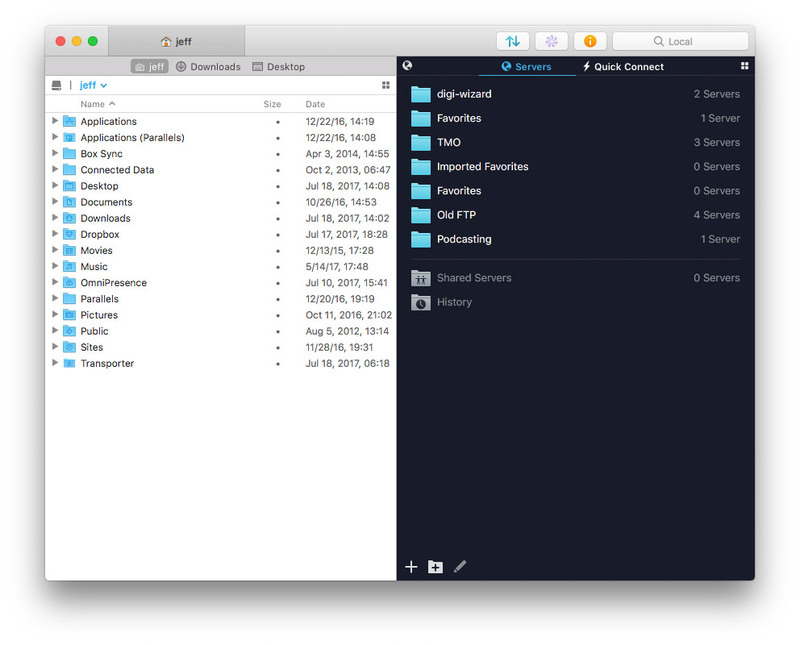 Panic announced the release of Transmit 5, seven years after the release of version 4 of its popular file transfer app. New features include support for Panic Sync and 10 cloud services. Transmit 5 now includes support for interfacing with Backblaze B2, Box, Google Drive, DreamObjects, Dropbox, Microsoft Azure, and Rackspace Cloud Files. It also still supports FTP, SFTP, WebDAV, and S3. 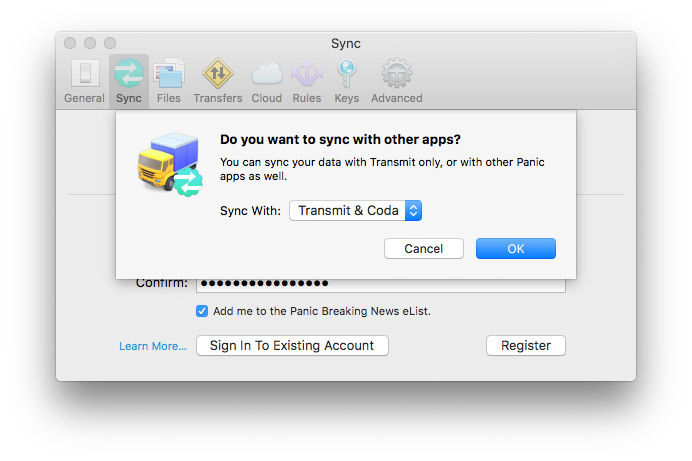 Panic Sync is the company’s homegrown syncing service it uses for keeping data synced between devices. The service is encrypted, and Panic can’t see your data. It’s available for Transmit 5, Transmit iOS, Prompt 2, Coda 2.5, and Coda iOS. You can read more about Panic Sync on Panic’s site. Panic also said Transmit was faster thanks to a complete rewrite of the engine. Transmit 5 is priced at $35 for one week, after which is will rise to $45. The company supports Apple Pay on its website. Panic specifically announced there won’t be an upgrade price, noting, “Fun fact: it’s been seven years since we last charged for an update to Transmit!” There is a trial version of the app. The company also said it won’t be on the Mac App Store because Apple doesn’t offer a mechanism for demos. Transmit is excellent. Transmit 4 gives no warning that Transmit 5 is available, however (presumably because an upgrade isn’t the same as an update), so you have to go to Panic’s site to get the new version. You have to be on the Mac App Store to tap into iCloud, xmattingly. What Panic said is they aren’t on the Mac App Store because they wanted to offer free trials, hence no iCloud and the creation of Panic Sync itself. This definitely looks like it’s worth buying; I’ve never used Transmit so I’m going to have to try it out. I take it that iCloud doesn’t have an API, and that’s why it’s not included?